Recent advancements in the digital sphere have revolutionised the world of business in numerous ways. A couple of decades ago, marketing communications were limited to TV, radio and print, which remain very expensive and beyond the reach for many small businesses here in Australia. The situation where big marketing budgets mean more clout for the organisation has changed immensely due to the advent of digital marketing channels. These channels have levelled the playing field for small businesses, arming them with the tools to take on their larger, cash-rich competitors. This week we address how you too can harness the power of digital marketing to reach a wider audience, build meaningful connections, nurture your brand and in turn increase revenue. To get a feel of what digital marketing done right is all about, have a look at the website of Pod Legal. A simple and user-friendly interface complemented by a clear description of its brand identity in the home page is what sets this law firm’s website from its competition. Most often than not, digital marketing success depends on understanding the following 4 elements of your digital marketing strategy. Your website is the primary focal point that connects your brand to your customers. A well designed website will be a source of credibility to your customers while being a mode of carrying vital information to your stakeholders. This is the platform where sales and enquiries about your products/services are made. Today, consumers are looking online at company websites prior to search for information, compare options and make purchase decisions. Have a look at our previous blog post “Does Your Website Have the WOW Factor” for tips on creating a website that will work for your business. Another important step is to ensure your website is optimised for mobile devices. With more than 50% of your target audience using smartphones and tablet devices, you run the risk of losing business if your website is not accessible via a mobile device. According to studies on social media usage in Australia (as of March 2013), there are more than 11 million Facebook and YouTube accounts. Furthermore, 4 million Australians are on LinkedIn and more than 2 million on Twitter. These statistics unravel the reach a small business can achieve if it adapts the right social media strategies. Social media is “word-of-mouth” on steroids! Today’s consumers depend on peer recommendations and social buzz to make purchase decisions. They also use social media channels to share their experiences with brands. Therefore, it is obvious that the right social media channels will pave way for your business to connect and interact with your target audience. It can be a tool to introduce and promote products/services of your organisation. By being involved with your community, more business connections can also be made. 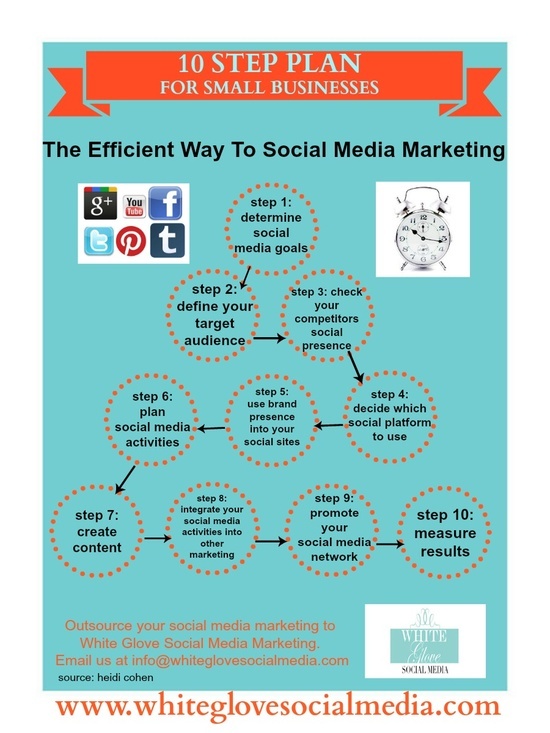 Have a look at the image below for quick tips on formulating a social media strategy for your business. For further details on how companies can use social media for engagement click here. Contrary to popular belief, e-mail still remains one of the most important tools of online marketers to reach their target audience. Providing business-related content such as information on special offers and other product/service related content via E-mail is cost effective. It is best if a planned schedule is implemented where a customer is sent an e-mail either once a week or once a fortnight which will ensure their inboxes aren’t over flowed with spam-like material. Furthermore, an E-mail marketing campaign usually tends to provide a high return on investment. Do remember that your target audience is exposed to countless promotional e-mails and it pays to obtain permission prior to indulging in any campaigns. Provide a mechanism where your target audience and customer can opt in to receive e-mail communication from your business to ensure higher readership and click-throughs. Getting yourself listed on free online directories will enable you to increase traffic towards your website. It may potentially lead to increased awareness and more sales in the long term. By requesting your existing customers to review and recommend your business, you will further enhance your brand’s image. Online listings play an important role in impacting search engine rankings as well. Further to the above factors, you may also consider paid advertising using Google Adwords, social media advertising etc. to help you gain extra mileage. This Infographic by Region that depicts the future of global online advertising expenditure. As you’ll see, companies continue to increase their online marketing expenditure, whilst cutting back on traditional marketing. 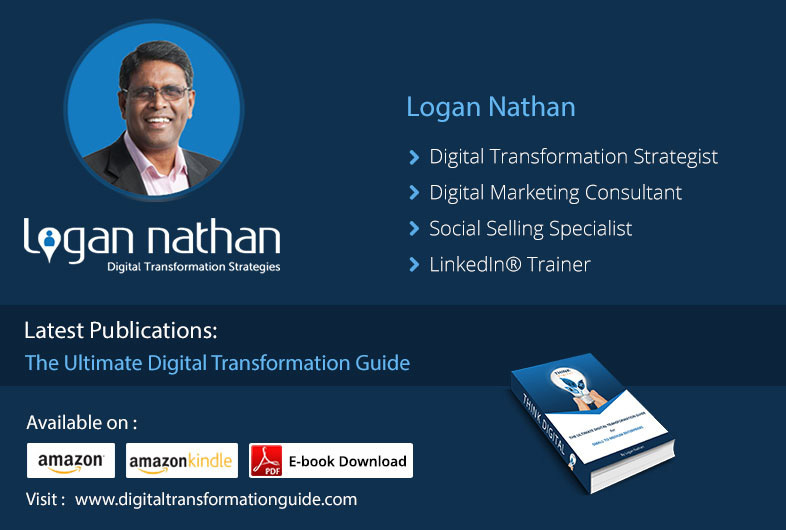 In conclusion, digital marketing both at present and in the future, is definite to have a big impact on your small organisation’s success level. 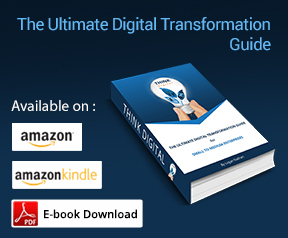 As the digital world is dynamic and evolves with time, keeping abreast with the changes is of high importance. If you are a small business owner, do drop us a line and let us know of your experiences with digital marketing and how you’ve managed to cope. SolomoIT is a digital marketing agency, based in Sydney, Australia, offering fully integrated social, local and mobile marketing solutions. Great advice!! Thank you for sharing it!!! Thanks for your feedback Ken!